Dave Hole is the 2018 MPBA 3.5cc National Drivers Champion. He is one of the most consistent drivers in the National Championship for whom mechanical reliability rarely poses an issue. Dave is a no fuss, get the job done driver. 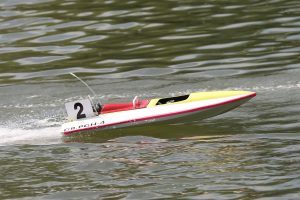 His approach has rewarded him with several runner-up positions in the Drivers Championships, but perhaps a lack of real outright speed was the reason for his solitary NDC win in 2010. 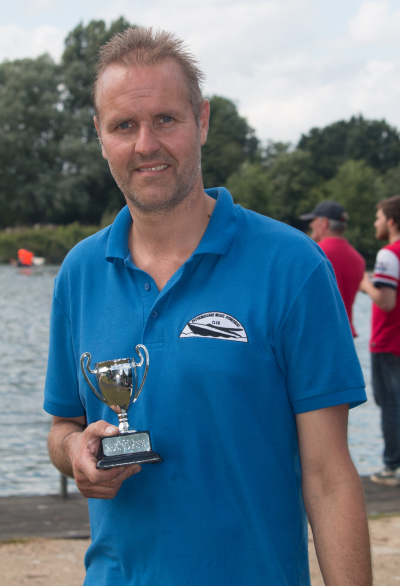 That all changed in the latter half of 2017 and Dave began the 2018 season with a truly competitive boat. Could 2018 be a Championship year for Dave? Along with improved speed, he has retained his usual reliability so he has a strong chance. Dave currently just competes in the 3.5cc class and drives the Modell Marin Falcon 1 with power supplied by a OS XZM. 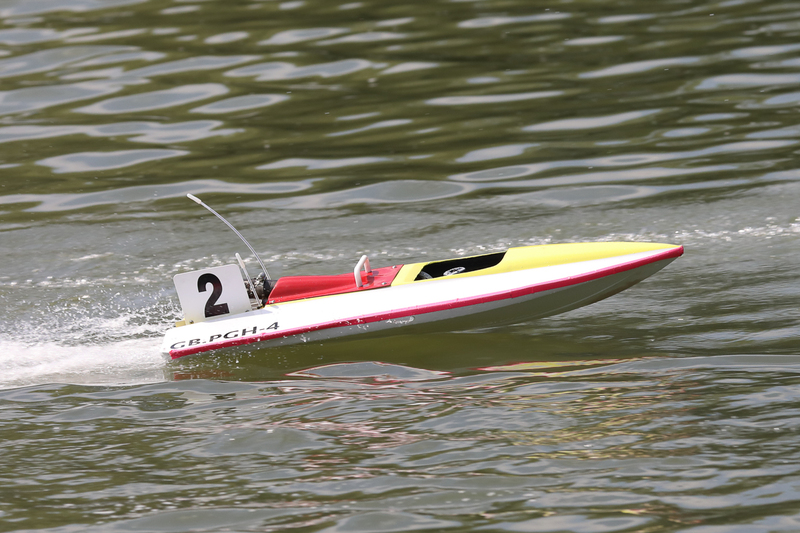 The Falcon 1 is a Tony Forslund design, which many racers prefer to the later Falcon 2. 10/06/2018 – Dave takes the lead in the 2018 3.5cc National Championship after a solid 3rd place at the MPBA British Masters joint Multi & Circuit event.